Pride, Prejudice – and Vengeance! Weed-eaters. Monkey-spawn. Honorless herbivores. Individually weak, humans have proved most difficult to conquer and enslave. Now the young heir to the Kzinti patriarchy is forced into a desperate wilderness exile as his empire cracks and the contentious Great Prides attempt to rip one another apart while facing total war with humanity. 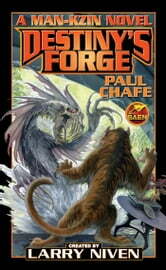 Annihilation looms unless the young patriarch can ally with two human warriors to battle his way back to his rightful place as Leader of the Prides, keeper of pride strahk, and upholder of sacred Kzinti honor. 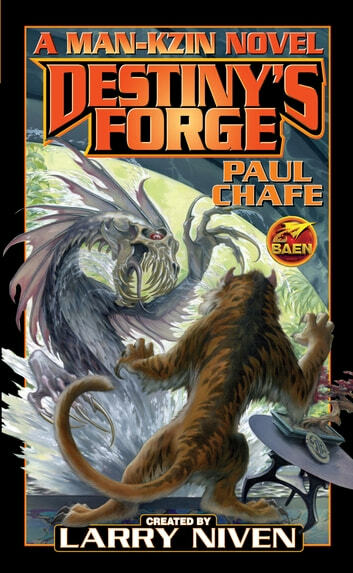 A masterful addition from popular contributor Paul Chafe to the “Man-Kzin Wars” shared universe created by multiple New York Times best-seller, incomparable tale-spinner, and Nebula- and five-time Hugo-Award-winner, Larry Niven! At the publisher's reqeust, this title is sold without DRM (Digital Rights Management).